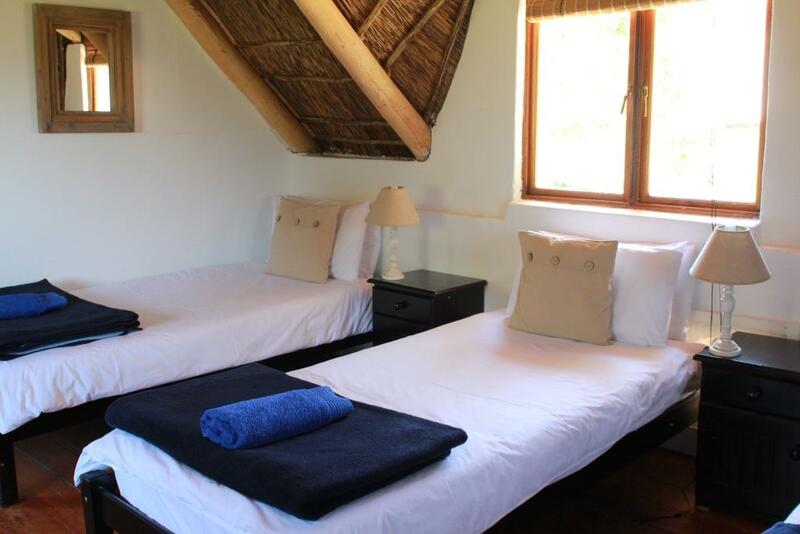 The loft bedrooms: There are 2 loft bedrooms in the thatched upstairs section of the Centre and each one has a separate entrance, 4 single beds and a bathroom en suite. The garden rooms: The 2 garden rooms are alongside the Centre and each one has a sitting room, 2 single beds and a bathroom en suite. 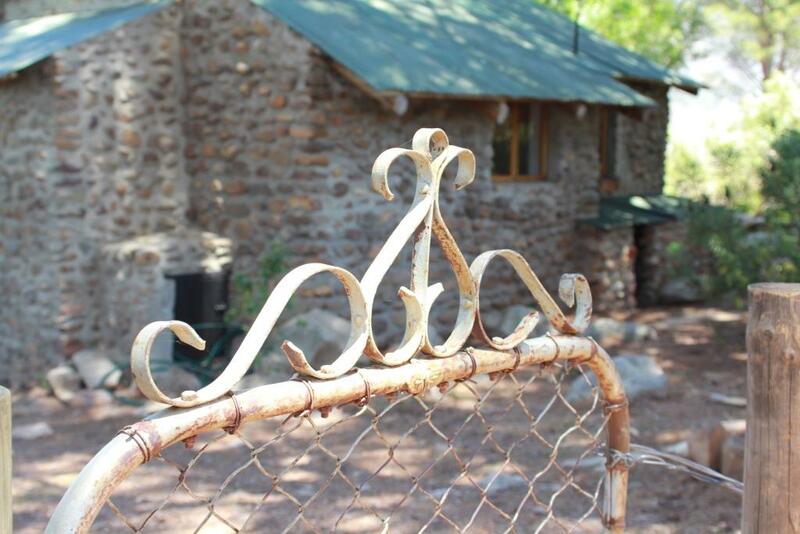 The ‘davels’ (cabins): The 3 ‘davels’ are free standing units based on the traditional African dwelling. 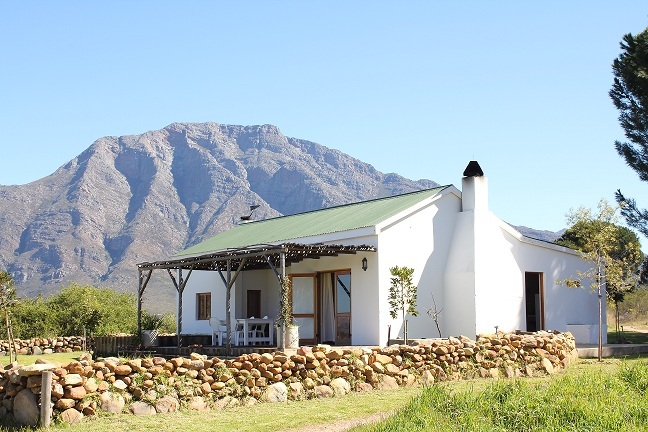 Although not rounded, hence the shortened ‘davel’ instead of ‘rondavel’, they have the pitched roof and stone exterior walls. 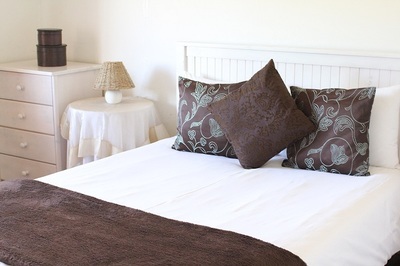 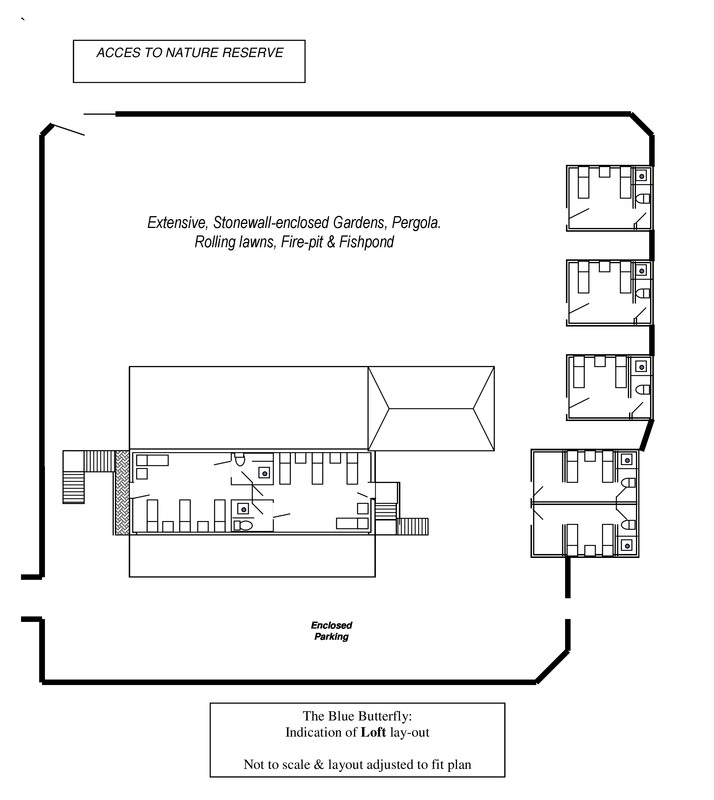 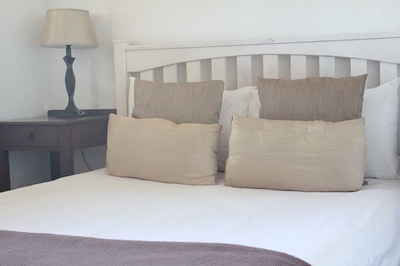 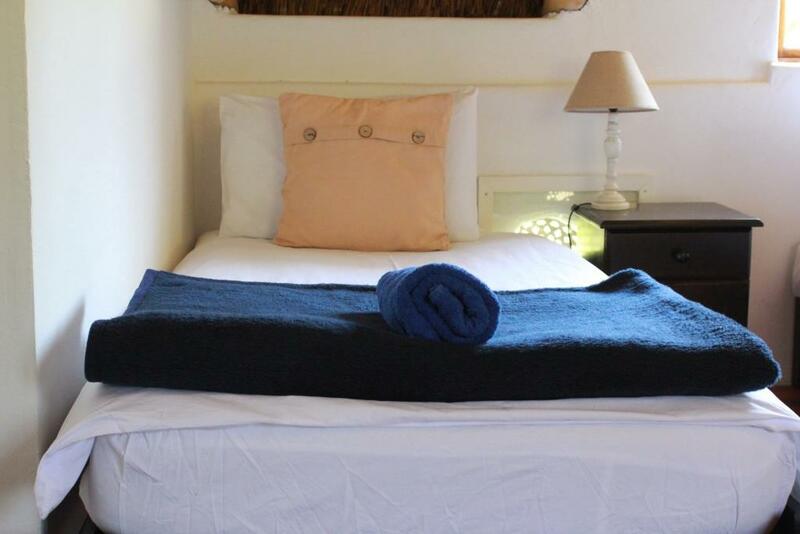 Each unit has 2 single beds and a bathroom en suite. 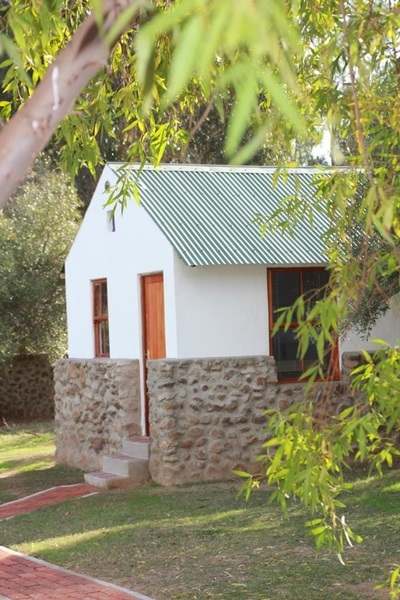 The cottages: For groups of 16 or more, cottages (when available) can be booked in conjunction with a retreat or group booking or they can be booked separately for personal retreats. 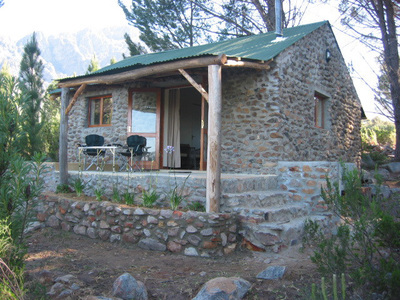 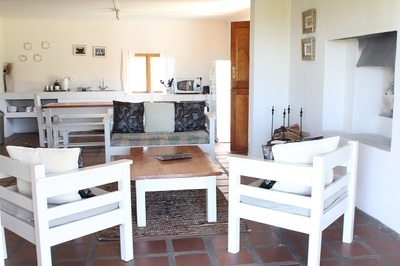 There are 4 cottages, sleeping a total of 14 persons.